Analysis: Allen was waived by Los Angeles earlier this week, but he'll stick around in the organization after going unclaimed off waivers. The 2016 sixth-round pick will likely need an injury to hit either starting quarterback Jared Goff or backup Sean Mannion to earn a promotion back to the 53-man roster. Analysis: Per the report, Allen is a candidate for the Rams' practice squad if he clears waivers, though Pelissero states that multiple teams were interested in him a year ago when he was let go by the Jaguars. 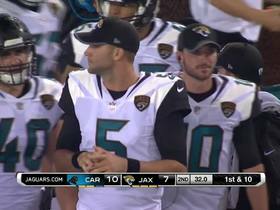 Allen was a 2016 sixth-round pick by Jacksonville and has yet to appear in an NFL game. Allen is expected to play the first half of Thursday's preseason finale, Myles Simmons of the team's official site reports. Analysis: Allen figures to have cemented his place as the Rams' No. 3 quarterback. The only issue for Allen is the possibility of Los Angeles going with just two quarterbacks into the regular season. In some ways, Thursday will serve as a tryout for Allen -- if not for the Rams, then for 31 other potential suitors. Allen (back) was an active participant through OTAs and minicamp, Vincent Bonsignore of the Orange County Register reports. Analysis: Allen finished the 2017 campaign on injured reserve with an unspecified back injury he suffered in December. While he's now healthy, Allen remains the team's No. 3 quarterback behind Jared Goff and Sean Mannion. The Rams placed Allen (back) on injured reserve Wednesday, Myles Simmons of the team's official site reports. Analysis: Allen was added to the injury report ahead of last week's victory over Seattle, though the exact severity of his condition isn't certain. The Rams signed outside linebacker Kasim Edebalie in a corresponding transaction. 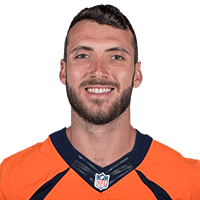 Allen (back) is listed as inactive for Sunday's game against the Seahawks, Myles Simmons of the Rams' official site reports. Analysis: Allen was listed as doubtful so this isn't surprising. He was likely to be inactive as the team's No. 3 quarterback regardless of his injury. Sean Mannion will again serve as Jared Goff's backup Sunday. Allen is listed as doubtful for Sunday's game against the Seahawks with a back injury, Bob Condotta of The Seattle Times reports. Analysis: Allen was added to the injury report Thursday and sat out Friday's practice, as well. The second-year quarterback was unlikely to be active regardless with both Jared Goff and Sean Mannion currently healthy. Allen (coach's decision) is inactive for Sunday's game against the Saints, Rich Hammond of the Los Angeles Daily News reports. Analysis: Allen is third on the Rams' depth chart at quarterback, so he won't dress on game days unless starter Jared Goff or backup Sean Mannion succumbs to an injury.